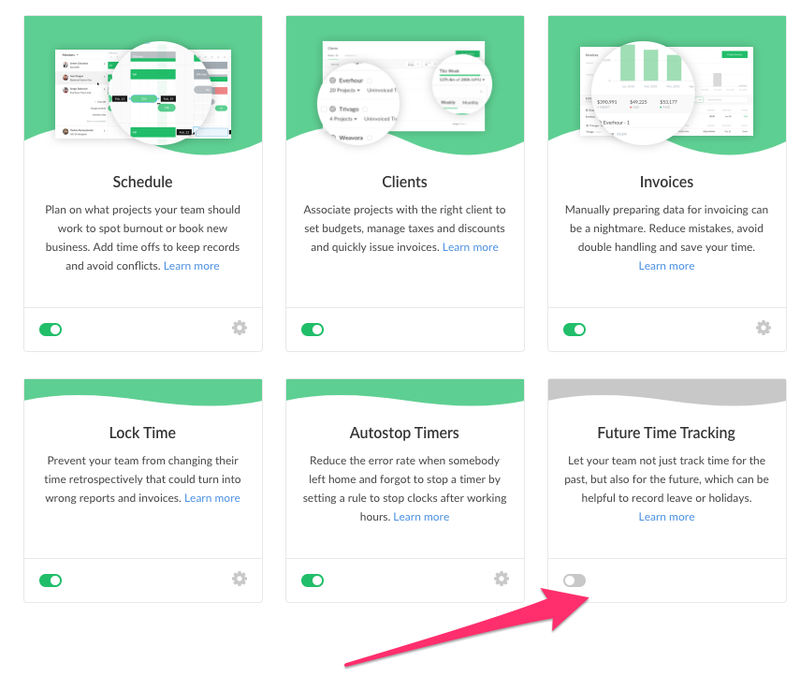 The option to track time for the future can be found in Applications. This page is available for team admins. When enabled, a user can choose futures dates in the calendar while adding or moving time.